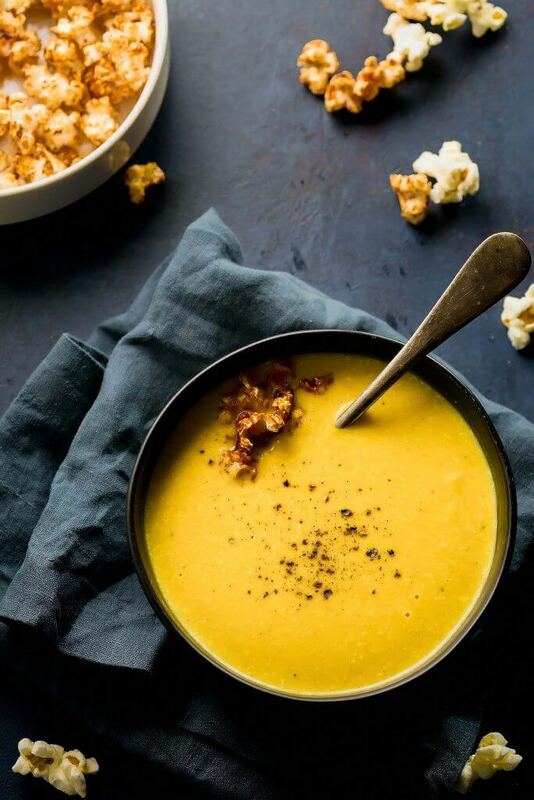 This Curried Butternut Squash Soup, topped with smoked paprika spiced popcorn, is perfect for chilly fall days. This post was sponsored by Angie’s BOOMCHICKAPOP. Today I’m putting a twist on one of my favorite butternut squash soup recipes to include one of my boyfriend’s favorite things – Popcorn. He has a slight obsession with it… He even has a special popcorn bowl that he’s had since college. It’s a huge white ceramic bowl with blue writing on it that says “I Love Popcorn,” and I have a love-hate relationship with it. I love that he has a special popcorn bowl that means so much to him that he’s had it for over twenty-years. I hate that it weighs about 10 pounds – And I always have to lift it up onto the top shelf after it comes out of the dishwasher. 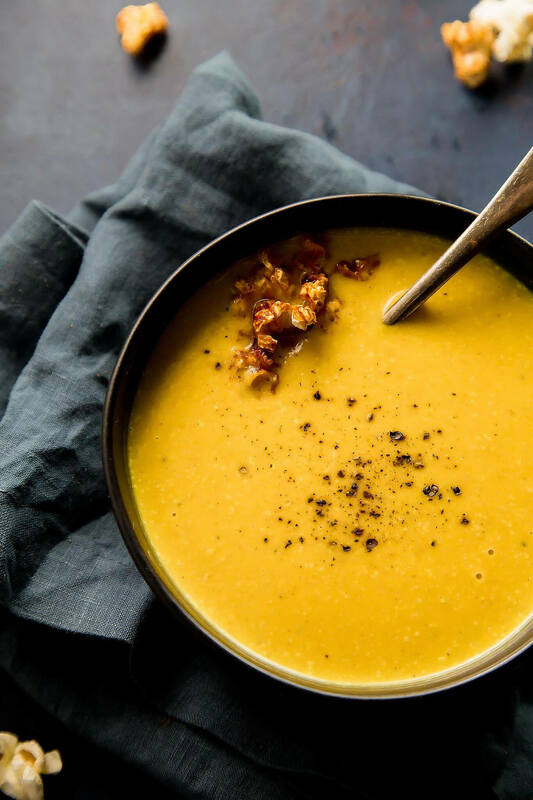 This Curried Butternut Squash Soup is all the things you would want in a perfect bowl of soup for this chilly fall season. 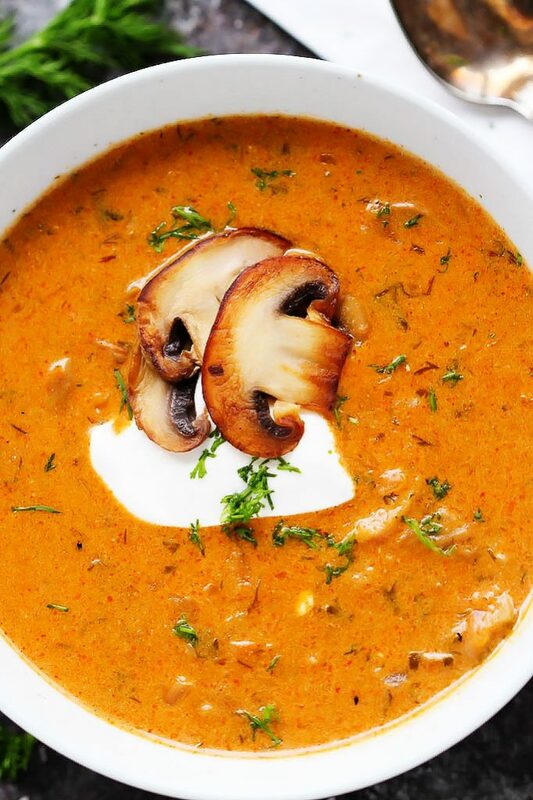 It’s rich, creamy and spiced with all those yummy fall flavors like cinnamon, curry and cumin. 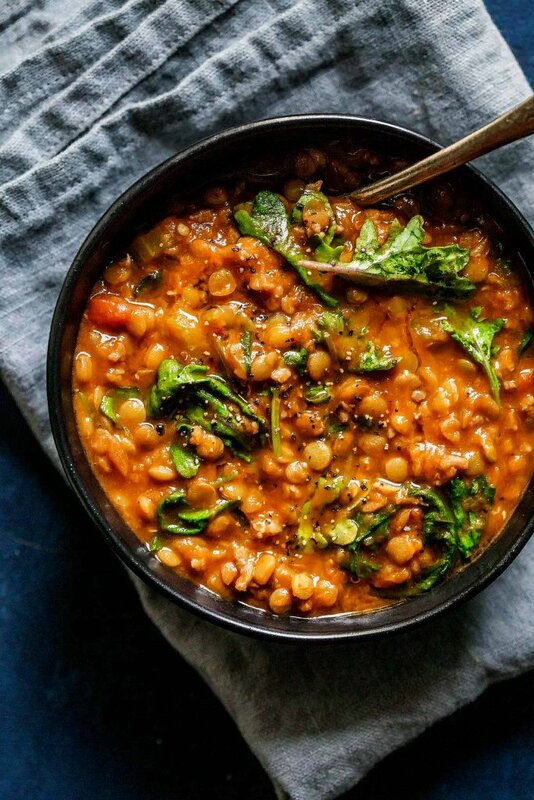 I just want to cuddle up on the couch with a bowl of it… This recipe is very similar to this recipe that I got from Olive Marketplace and Café in Walla Walla, but I’m changing things up just a little bit. Their original recipe uses a LOT of coconut milk – I’m lightening up this version a little bit by using half the amount of coconut milk and swapping in some chicken stock for the other half. And then, of course, there’s that smoky, paprika spiced popcorn that I’m topping these beautiful bowls of soup with. I made things easy by using some pre-popped popcorn. In our house, I leave all the popcorn making up to Rick. 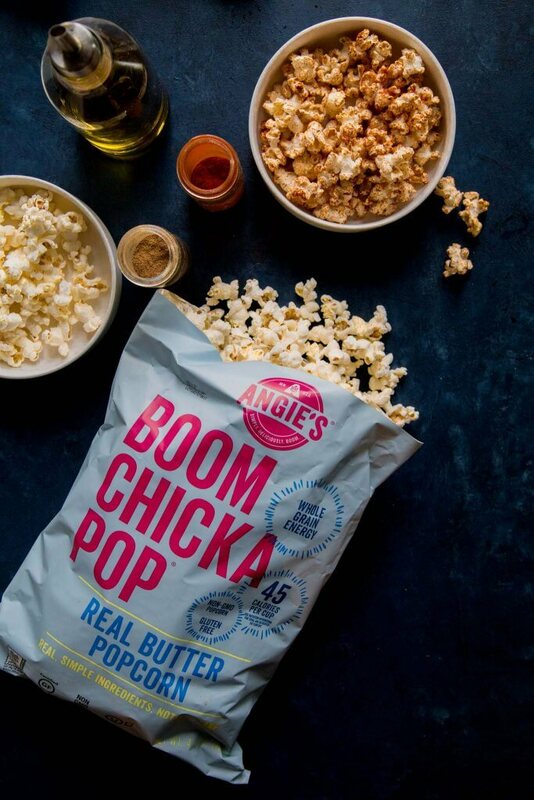 So, when I’m cooking on my own, I reach for a bag of Angie’s BOOMCHICKAPOP. This whole grain snack comes in lots of yummy flavors, like Sea Salt, White Cheddar and Sweet & Salty Kettle Corn, but for this soup, I wanted to give it my own unique twist. I tossed their Real Butter Popcorn with a bit of olive oil and sprinkled on some smoked paprika. It coated it perfectly and gave it that beautiful copper color – Such a stunning topping for this golden curried butternut squash soup. By the way, the original version of this soup is totally vegan, I kind of messed things up this time around by adding in chicken stock, but you could definitely add in some veggie stock instead for a completely vegetarian and vegan-friendly soup. 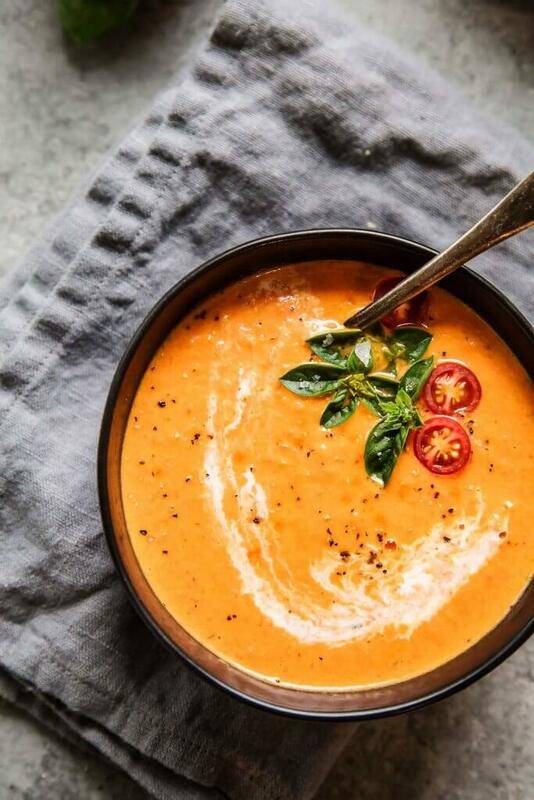 However you choose to make this soup, I can pretty much guarantee that you’re going to fall instantly in love with it. This Curried Butternut Squash is rich, creamy and delicately spiced. Topped with smoked paprika spiced popcorn for a fun twist! In a large bowl, toss popcorn with olive oil. Sprinkle with paprika and toss again to coat. In a large stockpot, over medium heat, add olive oil, butternut squash, apples and onions. Saute for 10 minutes. Add the curry powder, cumin, and cinnamon. Saute for 5 minutes. Add the coconut milk and stock and simmer for about 20 minutes. Season with salt and pepper. Puree until smooth with either an immersion blender or a regular blender in batches. Top with paprika spiced popcorn. Gewürztraminer and Riesling are great pairings for the delicate spices in this soup. 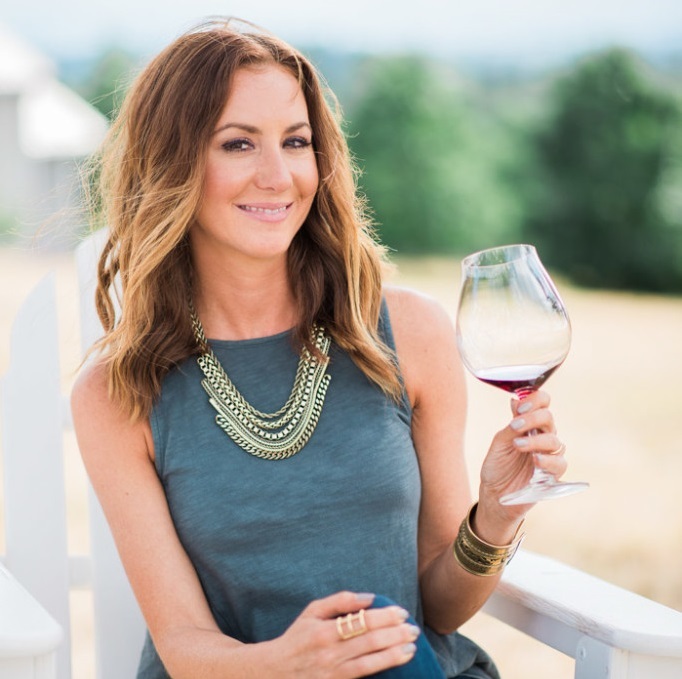 Alternatively, a high-acid, crisp wine like Pinot Gris would work well to cut through the richness of the soup. A dry-sparkling wine like Cava will also work well here to help cut through the creaminess of the soup nicely but hold up to the spicy flavors of the soup. Hey Erin, I’m really digging this recipe. I’ve always found that butternut squash is a little too sweet for me and with all these warm spices I can imagine how the flavor combination is perfect. I’ve got a goal of including new soups in my weekly menu a few times a week this January. I can’t wait to try. This recipe is perfect for the deep freeze we are having here in Chicago! And I love the addition of the popcorn topping! Erin, this soup just looks absolutely gorgeous! And it’s so true that snoring is a universal language! Looks so delicious. You dont have the number of servings, so it is difficult to determine the calories . Hi Lori – This makes 6 servings and the nutritional information is calculated below the recipe. Hope this helps! What the WHAT? 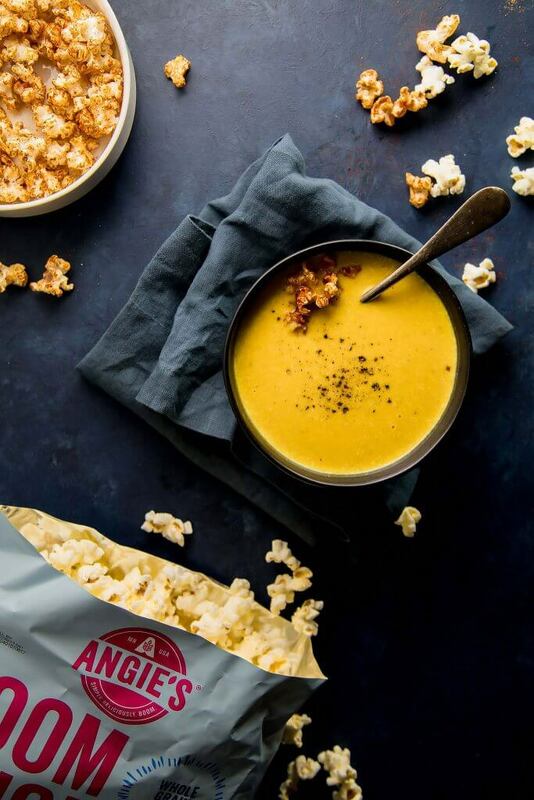 Curried Butternut Squash soup with popcorn?! These ingredients are my boyfriend’s favorites. 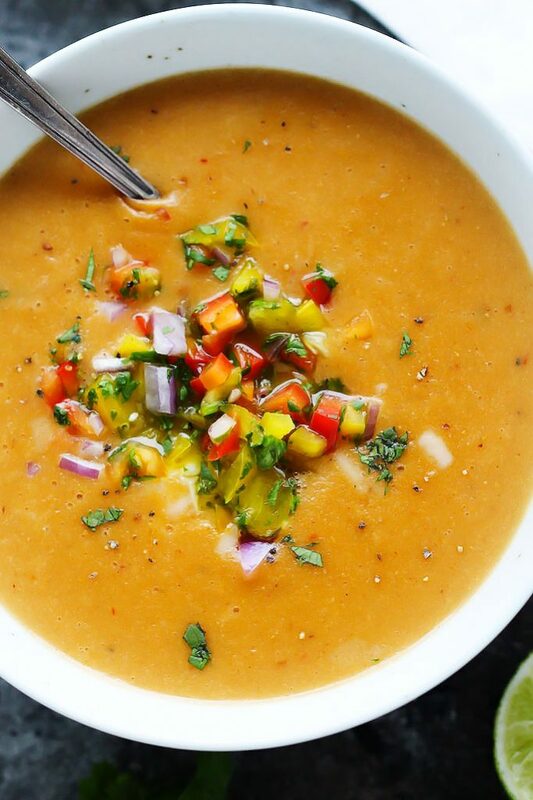 Suggestions on how to Instant Pot the soup? Probably sautée squash, apples and onions first for about 5 min, then add spices and IP for 5 minutes on high pressure? Add coconut milk before pressure cooking or after?